Congratulations to all our 2019 Al Mouj Muscat Marathon runners! Pre-register now to be the first to hear about the 2020 race. Our photographers were taking photos all weekend. 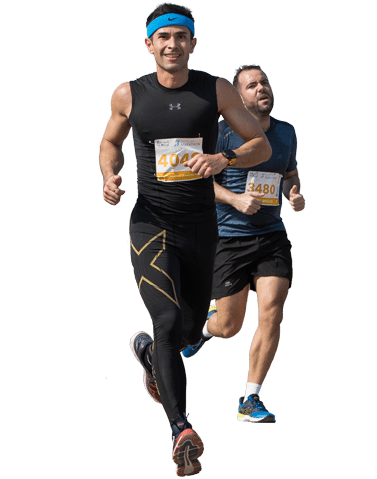 Complete a survey to access your personal race photos for free. You can search by bib number. Congratulations to all our finishers! Results will be available shortly after the race finishes. You can search by name or bib number. 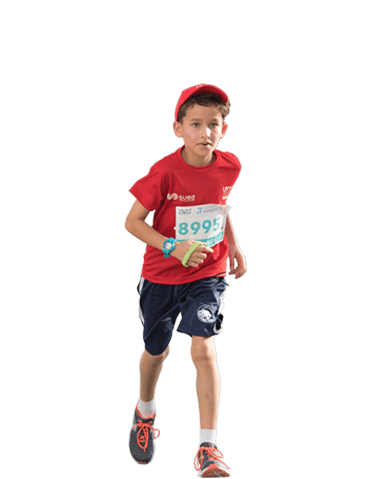 Muscat, January 19th 2019: The focus of the Al Mouj Muscat Marathon switched to charity fun-runners on Saturday as they shared centre stage with thousands of children who took to the streets for the Kids’ Run events. While Friday’s start to the festival of running centred on the 42km marathon with a field of elite athletes and dedicated amateurs from all four corners of the world, the following day was about supporting Omani charities and welcoming the next generation of runners. The 5km Charity Fun Run got proceedings underway at 7.00am, with more than 2,000 registered runners from 12 years old and upwards setting off through the Al Mouj waterfront community in the heart of Muscat. 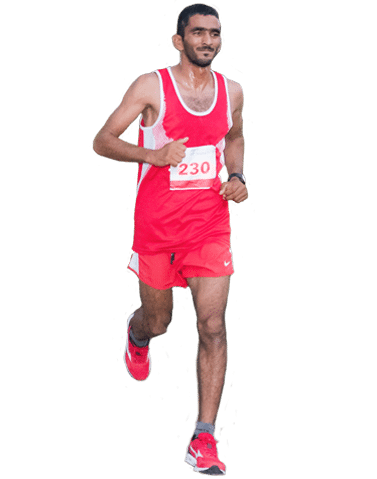 Oman’s Obaid Al Jabri led the field home in an impressive time of 16 minutes and 34 seconds, declaring “I will be back next year for sure” after crossing the line. He finished ahead of Ayoub Al Rashdi and Wadhah Al-faliti. The runners taking part were supporting numerous charitable organisations, including the six official Al Mouj Muscat Marathon charities – the Oman Cancer Association, Dar Al Atta Association, Oman Diabetes Association, Oman Down Syndrome Association, Al Noor Association for the Blind and the Environment Society of Oman – with part of their entry fee divided equally between them. 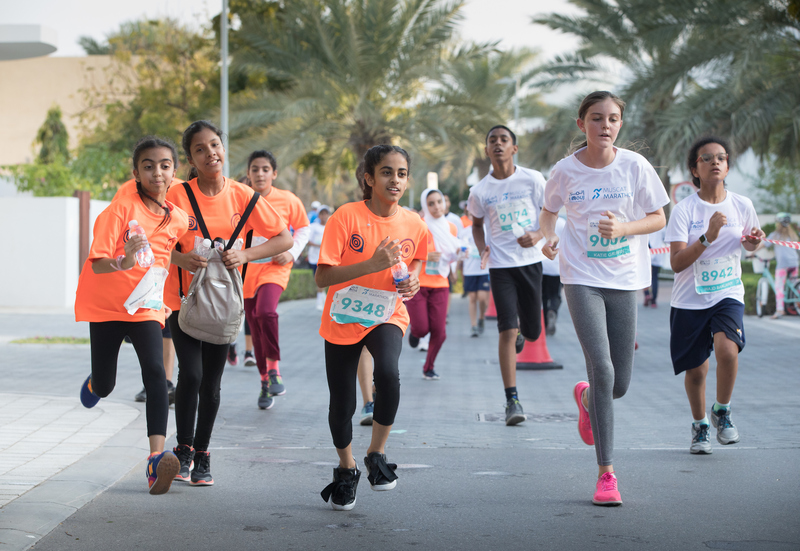 The level of excitement then went up several degrees as 2,776 young runners gathered for the start of the Kids’ Run event at 8.20am, which saw youngsters aged from seven to 12 years old take on 1km, 2km and 3km courses. 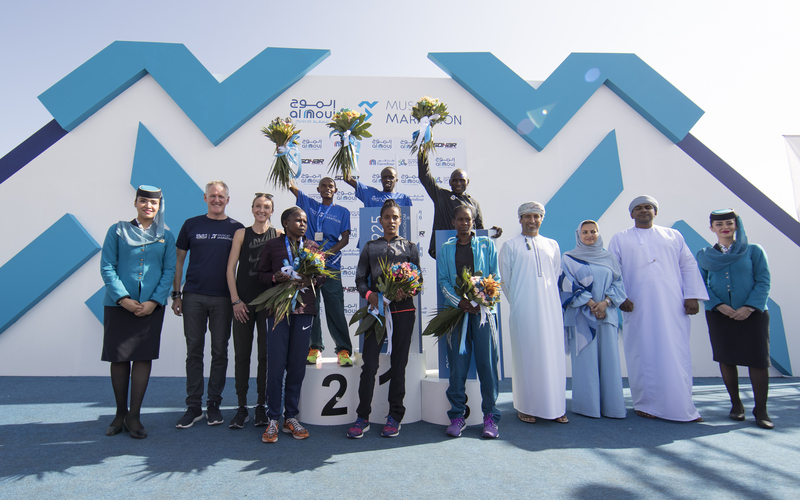 All the races were again flagged off by women’s world marathon record holder Paula Radcliffe, an ambassador for the Al Mouj Muscat Marathon, who also took to the race course to run alongside many of the runners as they approached the finish line. The 3km race was won by young British runner Nathan Byford in 13:25, who also took top spot in 2018 and credits his repeat success to his father. The 2km race was won by Osama Alrahbi in 07:13 and the 1km event by Ammar Lamki in 03:02. Friday’s marathon saw the largest number of elite long-distance athletes ever gathered in Oman, with the men’s race won by Kenya’s Ronald Korir in a time of 2:13:36 and the women’s race by Ethiopia’s Gada Bontu in 2:36:04. The very popular 10k race showcased Omani talent with local runner Bilarab Al Hamhami taking the win. The eighth edition of the Al Mouj Muscat Marathon again saw a record-breaking number of entries across all the running categories, producing immediate economic benefits to the Sultanate as well as further highlighting Oman as one of the world’s leading sports tourism destinations. 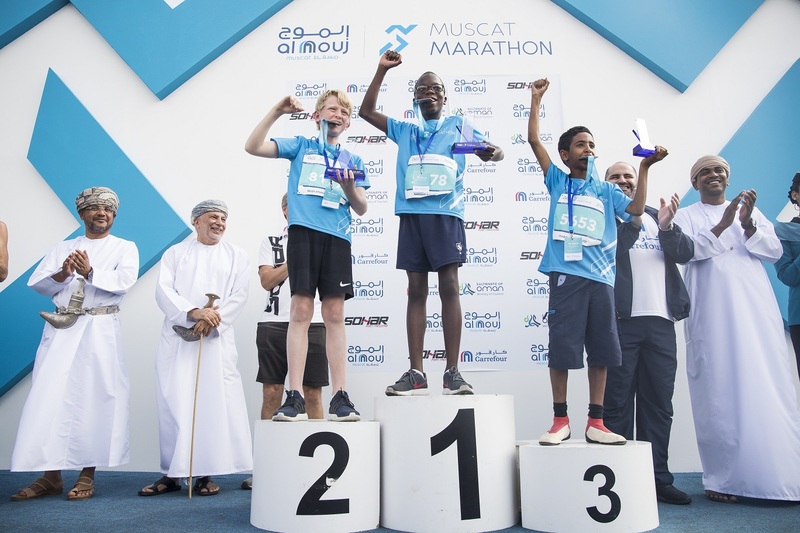 As well as the backing of title sponsor Al Mouj Muscat, the Oman Sail organised event also had the support of its original creator Muscat Road Runners, the Ministry of Tourism, Oman Athletic Association and the Muscat Festival. In addition, it also benefitted from the involvement of official event partners the Implementation Support and Follow-up Unit (ISFU), Sohar Port and Freezone, Carrefour, media partners Merge 104.8 and Radio Al Wisal, and Mysk, Burjeel Hospital, be’ah, Alpha Movement Specialist, Oman Oasis, Sun Top and Garmin. 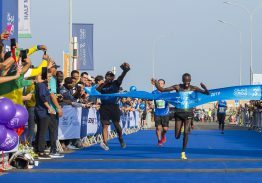 Muscat, January 18th 2019: Blue skies and cheering crowds greeted the finishers of the Al Mouj Muscat Marathon as an international field revelled in the near perfect running conditions in Oman’s capital city. The eighth edition of the increasingly popular event got underway soon after dawn, the early morning light showing the way for thousands of athletes taking part in the full marathon, half-marathon, marathon relay and 10k races. 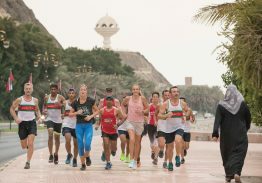 Flagged off by women’s world marathon record holder Paula Radcliffe – an ambassador for the Al Mouj Muscat Marathon – the field took advantage of a windless day and a temperature of 20 degrees. The men’s marathon race was led by the largest number of elite long-distance athletes ever gathered in Oman, and at the finish it proved to be Kenya’s day with one of the pre-start favourites, Ronald Korir, winning in a time of 2 hours 13 minutes and 36 seconds. He finished ahead of his countryman John Langat (2:15:41) and Uganda’s Jackson Kiprop (2:15:43). The women’s marathon was won by Ethiopia’s Gada Bontu in 2:36:04, a time quick enough to earn her a ninth place overall, ahead of Kenya’s Lucy Ndungu (2:42:07) and Asnakech Mengistu representing Ethiopia (2:43:03) third. “It was a good race for me and I am very happy – the course was flat so that is very good as well,” said Bontu. 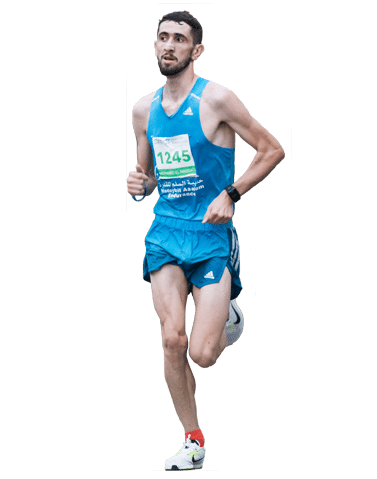 The half-marathon witnessed a neck and neck finish between Moroccan athletes Noaman Elassaoui and Bouazzaoui Abdelali, with Elassaoui taking victory by less than a second in 1:10:52. Iran’s Morteza Beiravand took third. 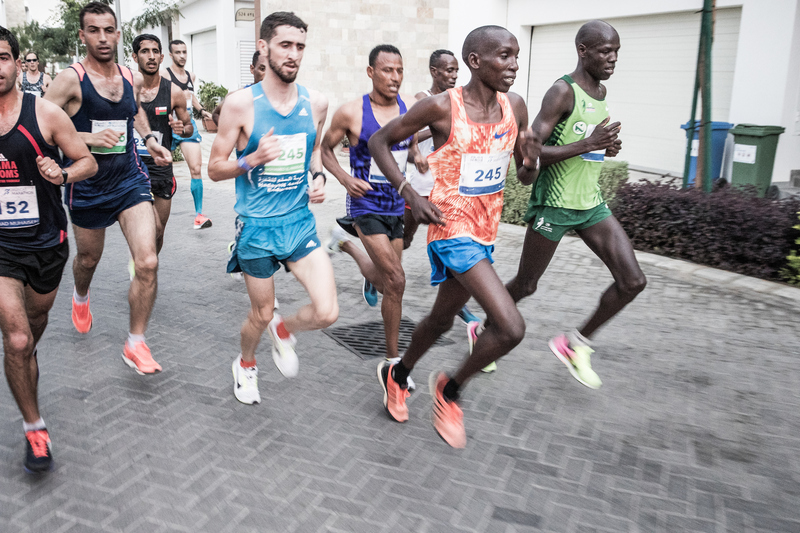 The very popular 10k race – with more than 1700 athletes registered – saw local Omani runners show their form, taking the win and eight of the top-10 places. Victory went to Bilarab Al Hamhami in 34:29, ahead of Iran’s Mohammad Bagheritajamir with Omani runner Naser Al Kamashki taking the third spot on the podium. The women’s race won by Brazil’s Cristina Ferraz (47:33) with Kristin Westby second and Gerd Inger Brunborg third. Paula Radcliffe, who took part in the 10k race, enjoyed the running and supporting other women runners in the field. “It was a lot of fun though I probably went off a little bit quicker than I wanted to,” said Radcliffe. “I wanted to run in the middle of the pack and I was keen to go and bring the first ladies in as it is great to see women’s running developing so well out here. Meanwhile, the relay marathon event, which attracted a very strong entry of 70 teams, was won by a team from Oman’s Royal Guards ahead of entries from Oman’s Special Forces and air force. The two day festival of running continues on Saturday with the 5k Charity Fun Run – which has attracted over 2,000 participants – and the Kids’ Run with even more young runners set to take part. Muscat, January 14th 2019: Led by the largest number of elite long-distance athletes ever gathered in Oman, next week’s Al Mouj Muscat Marathon is on course to be the biggest ever. With the clock counting down to the two-day festival of running – starting with the main marathon event on Friday 18th January – almost 8,000 athletes have registered, setting yet another record with increased entries in all six running categories. 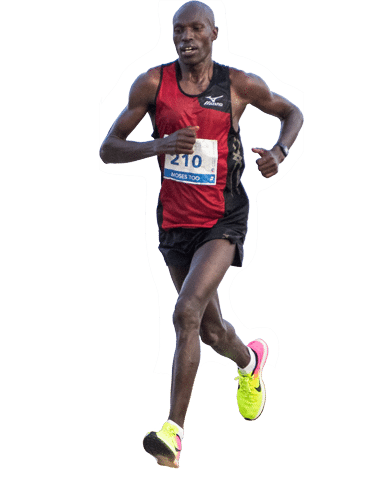 At what is likely to be the head of the field, last year’s Al Mouj Muscat Marathon winner Moses Too knows he will have to overcome determined opposition to retain his title. Five of the seven-strong men’s elite group have better personal best times than the Kenyan athlete, notably his compatriot Ronald Korir, Ethiopia’s Belay Asefa, and Uganda’s Jackson Kiprop, all of whom will be out to finish inside Too’s 2018 winning time of 2:19:30. The women’s elite entry also boasts some star turns, with winner of the Milan, Nanjing and Wuhan marathons Asnakech Mengistu, one of a trio from Ethiopia alongside Buzunesh Tesema and Tsedal Gebretsadik, as well as Kenya’s Gada Bontu and Czech champion Petra Pastorova. 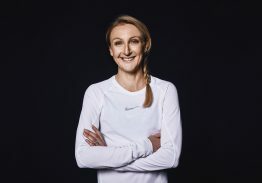 Meanwhile the 1,500 runners taking part in the 10k race will be joined by women’s world marathon record holder Paula Radcliffe, with the iconic British athlete continuing her role as international ambassador for the marathon’s eighth edition. 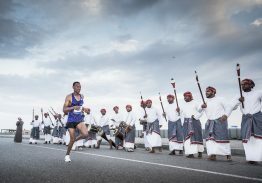 The across the board increase in participation is expected to provide immediate benefits to the Sultanate in terms of its economic impact, as well as further develop the longer-term objective of establishing Oman as one of the world’s premiere sports tourism destinations and the Muscat Marathon as the leading event of its kind in the region. 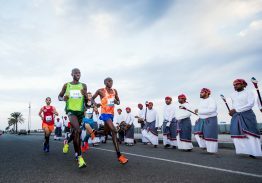 “With another record-breaking entry the 2019 Al Mouj Muscat Marathon will be the biggest ever held, and we are delighted to welcome the many elite and amateur athletes who have travelled to Oman from all over the world,” said Salma Al Hashmi, Chief Marketing Officer of event organiser Oman Sail. “The event has also inspired many people throughout Oman to adopt a healthier lifestyle, and it is playing an important part in developing new areas of the national economy. The full 42km marathon is the centrepiece of the festival which will also see a half-marathon, marathon relay and the 10k race sharing the course next Friday. The 5k Charity Fun Run – which has attracted over 2,000 participants – and the Kids’ Run will be held on Saturday. At the heart of the event is the race village, which will be set up in the vibrant Al Mouj waterfront community. The flat and fast internationally certified course itself will take athletes past many of Muscat’s memorable landmarks including Al Mouj Golf, Seeb corniche and the Fatma Al Said Mosque. Organisers also paid tribute to the support of official title sponsor Al Mouj Mucat and event partners The Implementation Follow-up and Support Unit (ISFU), Sohar Port and Freezone, and Carrefour, media partners Merge 104.8 and Radio Al Wisal, and supporters Mysk, Burjeel Hospital, be’ah, Alpha Movement Specialist, Oman Oasis, Sun Top and Garmin. 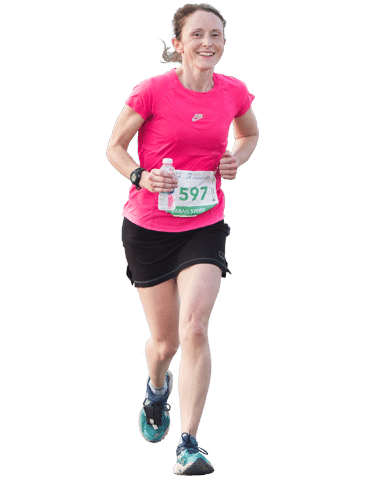 The marathon, marathon relay and half-marathon events start at 6.30am next Friday, with the 10km race setting off at 8.30am. Saturday’s 5km Charity Fun Run – which will benefit six charities in Oman – starts at 7am, with the first Kids’ Run start at 8.20am. Our photographers were out on the course all weekend and now you can download your personal race photos free of charge. In exchange, all we ask for is 5 minutes of your time to complete a post event survey. Visit our Personal Race Photos page and download your photos now. If you cannot find your time or believe there is an issue with your time please email info@muscatmarathon.om and we will resolve the issue as quickly as possible.